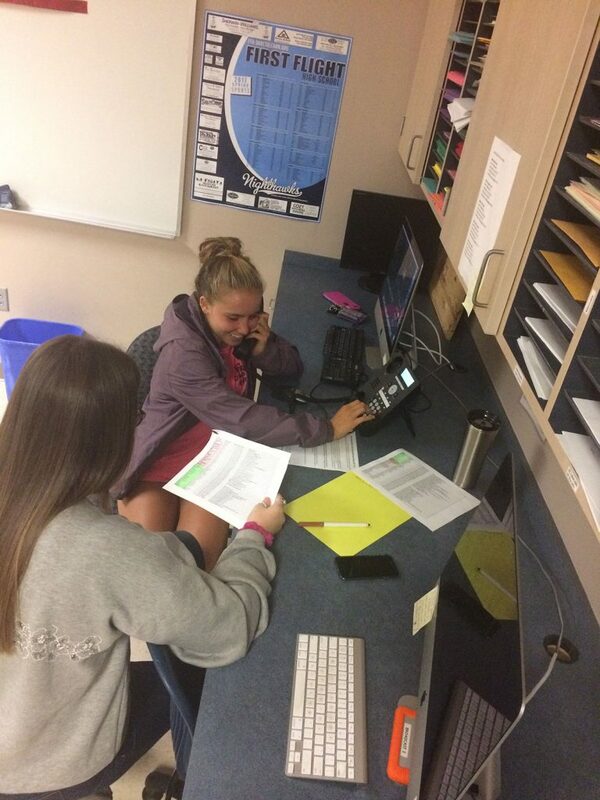 Nerves quickly gave way to excited calls of, “I got one!” as 10 members of our yearbook staff at First Flight High School gathered for a “Senior Ad Phone-a-Thon” during the third week of the new school year. Inspired by another Walsworth school’s success with this idea, our Shorelines staff used this strategy for a second straight year. Senior ads have never a big tradition at our school, so I’ve been trying to slowly change the culture here and educate our parents about this fun tribute. When parents get a phone call from a student rather than an email blast or letter home, it gives them a chance to ask questions and learn more about the senior ads. And most of the parents we talked to were very receptive. Students spent less than 90 minutes working the phones, and by the end of the night, about 50 parents had either signed up for a senior ad or requested more information. Several parents also mentioned that they would like to receive information about placing a business ad, as well. There are about 170 seniors in our class of 2018. Talking on the phone terrifies some kids in this texting and social media era. But they all survived, and it was really fun to hear how excited they were after finishing a phone call with a parent who gave them a yes. Steve Hanf is the yearbook adviser at First Flight High School in Kill Devil Hills, North Carolina.